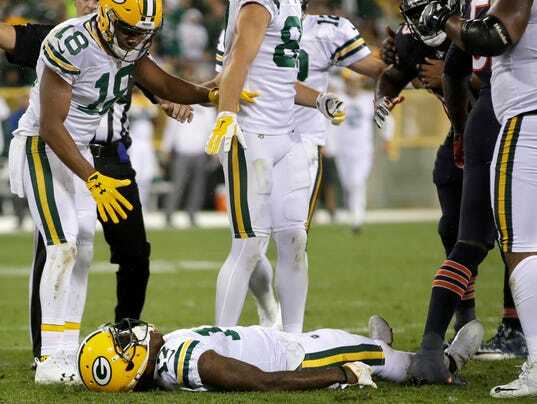 ~For the first time since the 2008 season, the Packers didn’t make the playoffs, thus their off-season began a lot earlier than usual. I will be taking time to do a mock each week between now and late April, when the 2018 NFL Draft commences in Arlington, Texas at AT&T Stadium. For this first one, I am going off the guess, assumption, that Mark Murphy will let Ted Thompson make the calls, and thus not fire himself. And I am guessing he will choose to keep his head coach, Mike McCarthy. I am assuming that Dom Capers is let go. As to who fills Capers job, I nominate Gregg Williams, he of the BountyGate scandal in New Orleans. A year ago, when the Rams fired everyone from Jeff Fisher on down, Williams was let go as their defensive coordinator. The Browns made him their defensive coordinator, so he’s suffered through a 0-15 season. It’s possible he wouldn’t leave Cleveland for a similar position. But Ted Thompson did try to hire Williams in 2009, but Williams’ wife didn’t want Green Bay, so he went to New Orleans, where they won the Super Bowl that first season for him. That season, of course, was famous for the Bounty Gate. 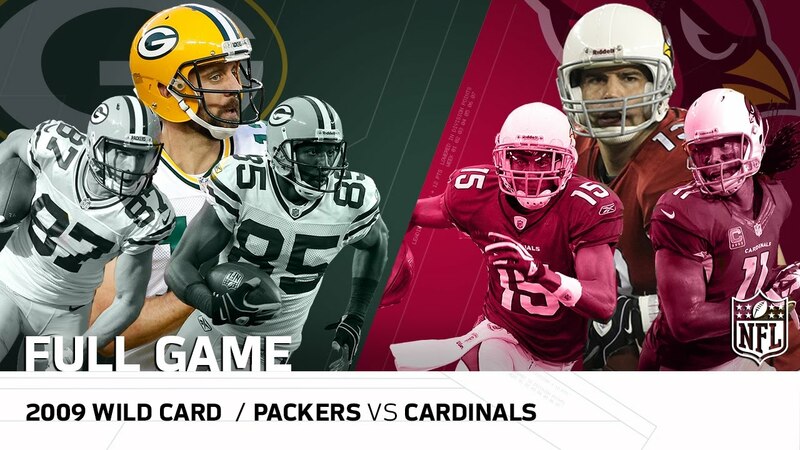 Remember, that was the playoff where Capers’ Packers defense got torched by Kurt Warner, who had more touchdown passes than incomplete passes, in the Cardinals 51-45 overtime win. The next week, Williams’ Saints’ defense battered and bruised Warner, blowing the Saints out. 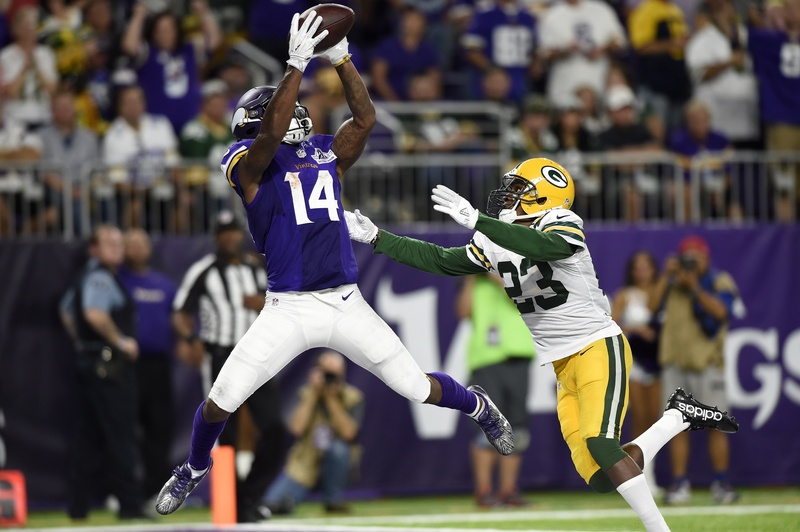 The next week they battered, late hit, bruised the Vikings’ Brett Favre, who had torched Capers’ Packers’ defense two times during the season. Given a choice between Green Bay and Cleveland, perhaps now Williams’ wife will find Green Bay to be suitable. And Williams has to be smart enough to know that if he could just field a decent to good defense, he’d have a chance at a Super Bowl every year as long as Number 12 remains unbroken. That being said, onto the players. The biggest question in the off-season was impending free agent Davante Adams. UPDATE: Adams has chosen to re-sign with the Packers, inking a rich 4-year deal to remain with Green Bay. Next up will an attempt to reduce the cap numbers to Jordy Nelson and/or Randall Cobb. Those things are sensitive, but both players are unselfish, non-divas, and I expect them to make something work. Nelson has mentioned the look-ahead thought of “retirement” already, which is never good. 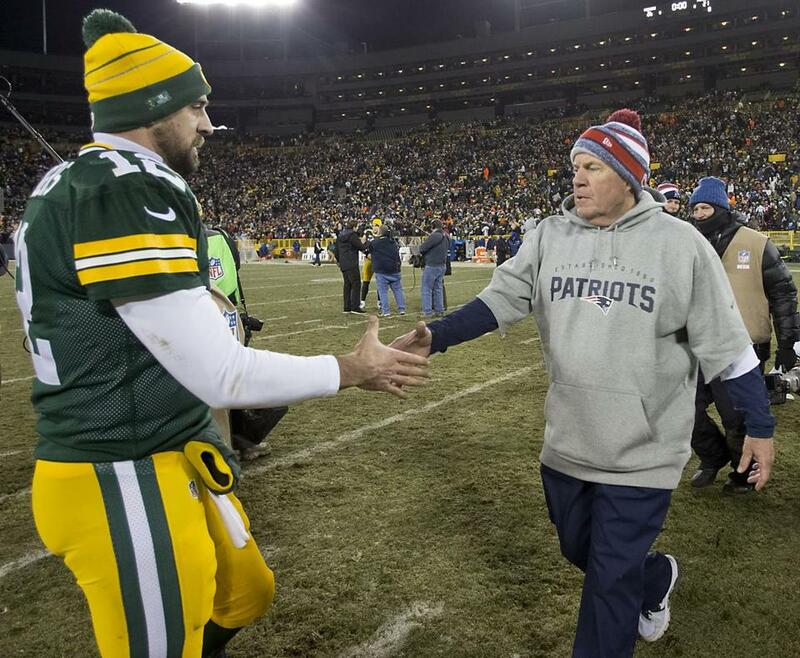 Cobb is much younger and is a good complement to Adams. All of them are in their 20’s, except Brooks, Evans, and Goode. I think those three are gone. The others will be brought back. Linsley will get a significant raise, although his play has been below average. 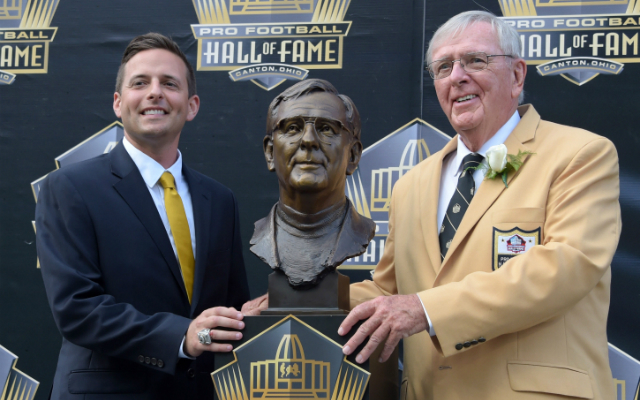 He should not get a huge deal like the Browns gave to J.C. Tretter. But you never know. Nobody else wants House, Dial, Rodgers, or Goodson. Someone might throw a nice offer at Janis knowing his special teams prowess. And someone like Arizona, might believe in his abilities as a receiver, since they saw it first hand in that playoff game in January, 2016. That being said, let’s dive into FREE AGENCY before the DRAFT. Remember, last year when the Falcons eliminated the Packers in the NFC Title game, Aaron Rodgers talked after the game about making sure we go “all in” every off-season. Whether that was the reason, or if Eliot Wolf is doing more of the personnel stuff aside from the Draft, is it a coincidence that Thompson “went wild” in free agency, signing four guys? He signed two tight ends, the guard Evans, and the OLB Brooks. Brooks had been very durable, but of course, once he put on the mustard G, he broke down and missed all kinds of time. Still, he was decent when he did play. The Packers pass rush has been awful, with starters Clay Matthews and Nick Perry always hurt. Contrast that to Pittsburgh, where their starting linebackers Bud Dupree and rookie T.J. Watt never missed any games. That’s why James Harrison never played, and why he got mad and forced his release, ending up with the Patriots. The Packers did okay with their free agent signings last year, but the huge miss was Martellus Bennett of course. He has always been a racist, malcontent. I saw it first-hand in Dallas where he was drafted. He didn’t get along with, nor like Jason Witten. Anyone who doesn’t like Witten has a problem. Lance Kendricks was a disappointment too. Jahri Evans stabilized the offensive line, and would be considered a decent signing. Still, he’s really getting up there in age, and I expect the Packers to go cheaper and younger there. Last year, Thompson added four, and I will keep it at four again. I will be realistic, and not dip into any guys who will be huge ticket purchases. So cross off the top five guys at each position. I also am not adding anyone who is close to 30 years of age. CB Nickell Robey-Coleman, Rams, age 25. Smaller than what we’re used to seeing in Green Bay, with a new coordinator comes significan changes, and that includes the “CB criteria” that has crashed and burned too many times, from the 51-45 Arizona playoff loss of the 2009 season, to making Kaepernick look like a Hall of Famer two times, to Hai Mary allowed to Eli Manning to Hakeem Nicks in the 2011 playoff loss, to letting Larry Fitzgerald go 75 yards on the first play of overtime in the 2015 playoffs, to barely covering anyone on the Falcons in last year’s playoff loss. Things have to change, and perhaps an inch or two isn’t that significant if it means getting someone who knows how to cover and tackle. Very interesting highlight here, from last year (2016). Play one, you’ll notice Ted Thompson’s 2nd rd pick from a few years ago, Jerel Worthy (did not know he was still in the league wow) being given a free sack, or TFL on Todd Gurley. Then the next play, NRC will take a pick to the house, off Case Keenum, now of the Vikings. With Lamarcus Joyner moving to safety in new defensive coordinator Wade Phillips’s defense in Los Angeles, new addition Robey-Coleman has a chance to make a big impact as the team’s primary slot cornerback. The former Bill was a mainstay at that spot in Buffalo, where he racked up 160 tackles, five sacks, and three interceptions in 64 appearances over his first four seasons. But the undersized nickelback (who measures in at 5-foot-8 and 165 pounds) didn’t see much demand on the open market, and was forced to take a one-year prove-it deal with the Rams. CB E.J. Gaines, Bills, age 25. The cornerback has been a great fit in Sean McDermott’s zone coverage scheme. In 10 games this season, Gaines has recorded 51 tackles, seven passes defended, one interception and two forced fumbles. Pro Football Focus (PFF) also has Gaines having a strong season. Gaines is currently listed as PFF’s 29th ranked cornerback with an 83.0 grade. I like both of these cornebacks with experience from the Rams and Bills defenses. Those defenses are always better than the Packers, and they seem to know how to cover a lot better, and tackle. TE Luke Willson, Seahawks, age 27. Everyone else will be salivating over their other free agent tight end Jimmy Graham. Seattle was rumored to be dealing him midway through this season, then he caught fire and scored in almost ever game. They’ll pony up to keep him, even if Russell Wilson has to chip in. Willson will add more juice than either Bennett or Kendricks offered as free agents this season, and surely more boost than the lumbering Rich Rodgers provides. Four years ago, there were quite a few national mock drafts that had the Packers taking Niklas at the end of the first round. He ended up going to Arizona in the second round, where I thought he’d become a stud in the mold of Gronk. But he’s had a few little injuries like fingers and a hernia, and has had three or four surgeries, causing a lot of missed time. Sounds like he should have been a Packer. None of his injuries were knees, achilles, or legs, so he should still have his legs left. And with the massive size, can be the weapon in the red zone that the Packers wanted from Bennett. GREEN BAY, Wis. — A little more than two weeks after Aaron Rodgers made a plea for the Green Bay Packers to sign wide receiver Davante Adams, general manager Ted Thompson got the deal done. Adams, 25, signed a contract extension, the team announced Friday. The deal is for four years and $58.75 million, with $32 million guaranteed and an $18 million signing bonus, a source told ESPN’s Adam Schefter. 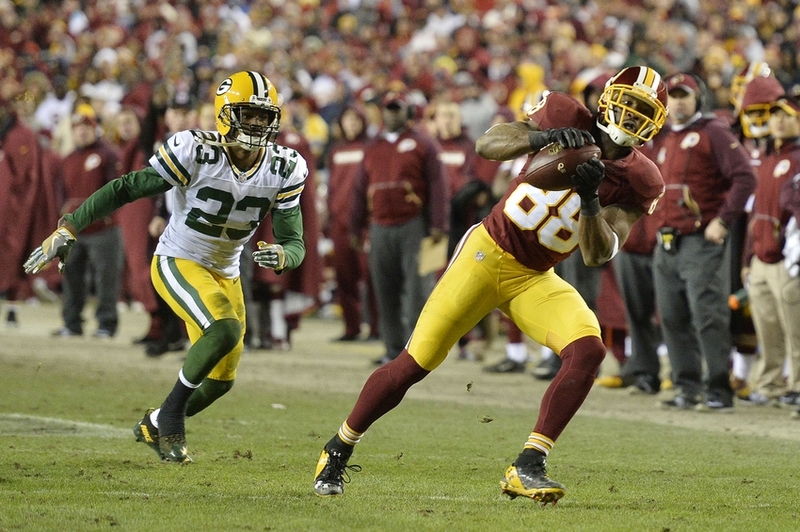 At $14.7 million per season, Adams would rank fourth among all NFL receivers. He will be the third Packers receiver to average around $10 million per season; Randall Cobb has one season left on his four-year, $40 million deal, and Jordy Nelson has one season remaining on a four-year, $39 million contract. One or both players could be in danger of being released or having to take a pay cut this offseason. Adams leads the Packers with 74 catches for 885 yards and 10 touchdowns in 14 games, surpassing Nelson as the team’s No. 1 receiver. Adams did not play last week against Minnesota because of a concussion, his second this season and third in 14 months. Panthers linebacker Thomas Davis and Bears linebacker Danny Trevathan served one-game suspensions for concussive hits on Adams. Adams won’t play in Sunday’s season finale at Detroit because of the concussion he sustained on Dec. 17 at Carolina, and he has not been available for interviews since that game. But teammates and coaches said he had wanted to come back and play this season. Davante Adams has shown he has the ability to step up big in the biggest games. He was a key cog in big close wins over New England and over Dallas in the NFC Divisional game, in his rookie year on the way to the NFC Championship game. 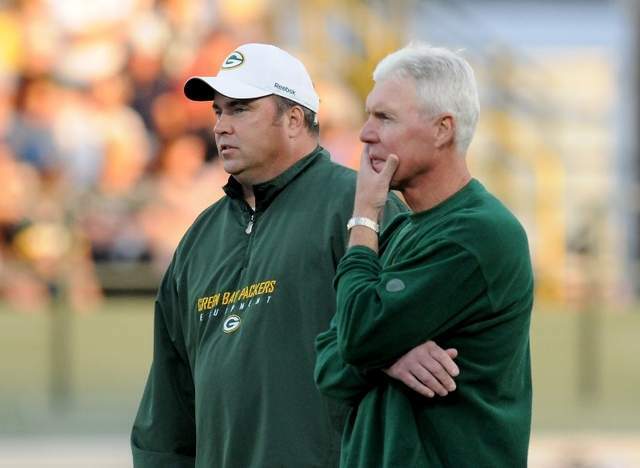 ~GREEN BAY – It took Ted Thompson and Mike McCarthy 12 swings in the draft to build the Green Bay Packers’ offensive line into a stable product capable of protecting quarterback Aaron Rodgers from start to finish during the season. The two devoted two first-round picks, four fourths, four fifths, one sixth and one seventh before they accumulated enough talent and depth to form a five-man unit capable of handling the frequency of throws in McCarthy’s offense and holding blocks a second or two longer than if they were playing with a less-mobile quarterback. Recognizing the pressure high-octane passing games are putting on defenses around the league, Thompson and McCarthy are approaching the secondary the same way they did the offensive line, attempting to build the same kind of cohesiveness that comes from playing the same guys year after year. The two went all-in on the secondary position in an attempt to build a stable unit capable of protecting the defensive backfield from the start of a season to the finish. Stability is now as important there as it is on the offensive line. “Totally,” McCarthy said this week as the Packers wrapped up their offseason program with a three-day minicamp. Over the past three years, Thompson and McCarthy have drafted six defensive backs and signed a veteran free agent in an attempt to solidify a soft spot on defense. Of the six picks, two were first-rounders (Ha Ha Clinton-Dix and Damarious Randall), three were seconds (Quinten Rollins, Kevin King and Josh Jones) and one was a sixth (Demetri Goodson). The free agent, Davon House, was a fourth-round pick in 2011 who detoured through Jacksonville on his way back to Green Bay. 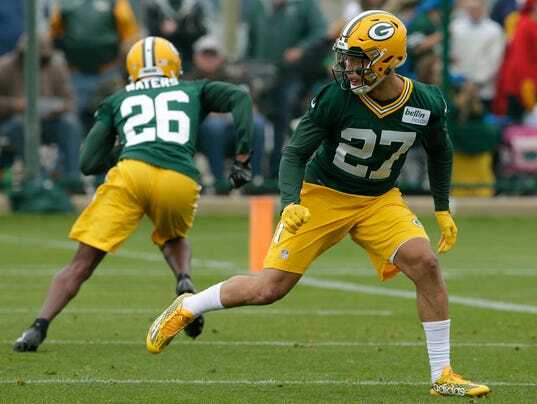 “Our biggest challenge was that we had so many guys going through the cornerback position,” McCarthy said of last season. “Teams that are playing the best are the teams that are playing together. Ultimately, one of the best statistics out there is if you look at the success of a football team that plays with the same offensive line the whole year. It’s a great stat. It tells you so much. Rather than gamble that his two high picks from the 2015 draft (Randall and Rollins) finally would play to their draft status and avoid injury this coming season, he added King with the 33rd pick and Jones with the 61st pick in April’s draft. It was an extremely good draft for cornerbacks, so Thompson might have been just following his draft board, but the Packers zeroed in on Jones in December with the intention of applying his outstanding physical talents to multiple positions in defensive coordinator Dom Capers’ system. They felt King could fill a key spot on the outside and allow Randall and Rollins to compete for time in the slot positions. Just like on the offensive line, all of the cornerbacks start out learning multiple positions so that they can play anywhere in a pinch. King wasn’t at most of the offseason workouts because of college semester restrictions, but Jones has been and he played just about everywhere but nose tackle. At 6-foot-1, 220 pounds, Jones runs the 40-yard dash in 4.41 seconds. At 6-foot-3, 200, King runs it at 4.43. At the combine, King had the fastest times of anyone in two of the agility drills (three-cone and short shuttle). Speed was appealing but what McCarthy really wanted was general athleticism, the ability to perform in numerous roles. The more defensive backs he has capable of playing multiple positions, the less often he’ll have to put a center at left tackle, to use an offensive line analogy. 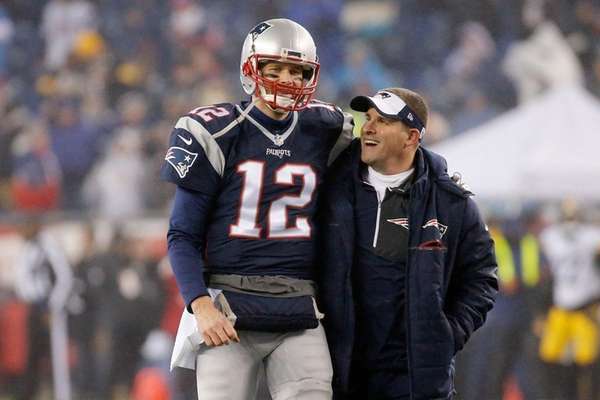 “There’s been times over the past two years, Ted and I felt their team was moving faster than we were,” McCarthy said. “Did Atlanta have good team speed? Yeah. Especially at home. But we didn’t plan on playing out there. “I always focus on athletic ability. Do you want to have a fast team? If you ask me based on playing at Lambeau Field eight times a year, I want the athletic ability. I think you see that in our linemen. Speed is a bonus. It would be negligent not to mention that there were times the offensive line was a mess during the seven years it was under construction. Right tackle Bryan Bulaga missed the better part of two seasons with knee injuries, tackle Derek Sherrod was a bust at left tackle, center JC Tretter missed 24 of his first 32 games with leg injuries, Don Barclay was a liability when he had to start anywhere but right tackle and guard Josh Sitton had to play left tackle in a regular-season finale loss to Minnesota that cost the Packers the 2015 division title. Though Clinton-Dix has been a smashing success, Randall, Rollins and Goodson have been disappointments, rookie free agent LaDarius Gunter can’t run with fast receivers, safety Kentrell Brice was undrafted for a reason and there’s no guarantee House will be starter-worthy. “It’s hard to play, period,” McCarthy said of covering receivers. “It’s a primary position. That’s why I’ve always talked about the second-year player. If you’re putting stress on your team’s success based on rookie production in early-season games, that’s not a good plan. The one thing Thompson and McCarthy have done with the heavy emphasis on acquiring defensive backs is give themselves a chance. They’ve got more athletic talent in the secondary than at any time since the Super Bowl XLV season. They just need some consistency. Davis, a fifth-round pick from Cal, didn’t have much of an impact last season as a rookie. 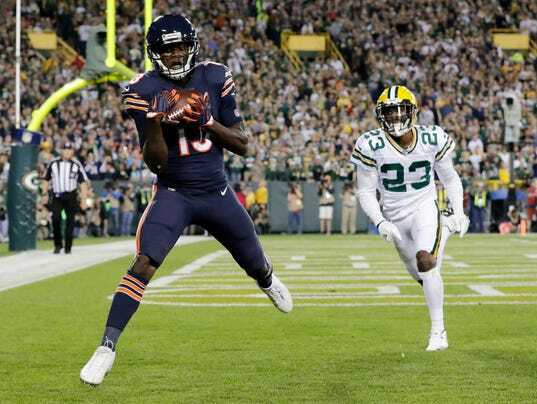 In fact, he was surpassed on the depth chart by undrafted free agent Geronimo Allison midway through the season and was inactive or did not play five times in a six-game stretch late in the season. Davis has a burst to get behind the cornerbacks. Here, Cal QB Jared Goff throws a perfect pass that Davis hauls in for a Golden Bear touchdown. Davis didn’t catch this one, but it drew a flag for pass interference. ~GREEN BAY, Wis. – It’s been two seasons since Randall Cobb’s breakout year. In NFL years, that’s a lifetime ago. The Green Bay Packers receiver might be the ultimate what-have-you-done-for-me-lately case. A well-respected player around Lambeau Field and the league, Cobb hasn’t come close to his 2014 production – 91 catches, 1,287 yards and 12 touchdowns – that led to the four-year, $40 million contract he signed in March 2015. Halfway through that contract, the Packers have to be wondering whether this will be a bounce-back year for the 26-year-old. 4th and goal, end of game, Packers needing a touchdown on this play to tie the game. Great playcall, design by Coach McCarthy. Getsy is right in that regard; injuries have slowed Cobb in the last two seasons. A preseason shoulder injury hampered him in 2015. Even though he never missed a game, the shoulder bothered him all season. His production dropped: 71 catches, 829 yards and six touchdowns. Last year, an early season hamstring injury cost him one game and an ankle injury that kept him out of the final two regular-season games. In 13 games, he caught just 60 passes for 610 yards and four touchdowns – his lowest totals since 2013, when he missed 10 games with a broken bone in his leg. Still, he showed a glimpse of what he once was in the wild-card playoff win over the New York Giants with five catches for 116 yards and three touchdowns. The Packers have been talking this offseason about finding more ways to get Cobb the ball. 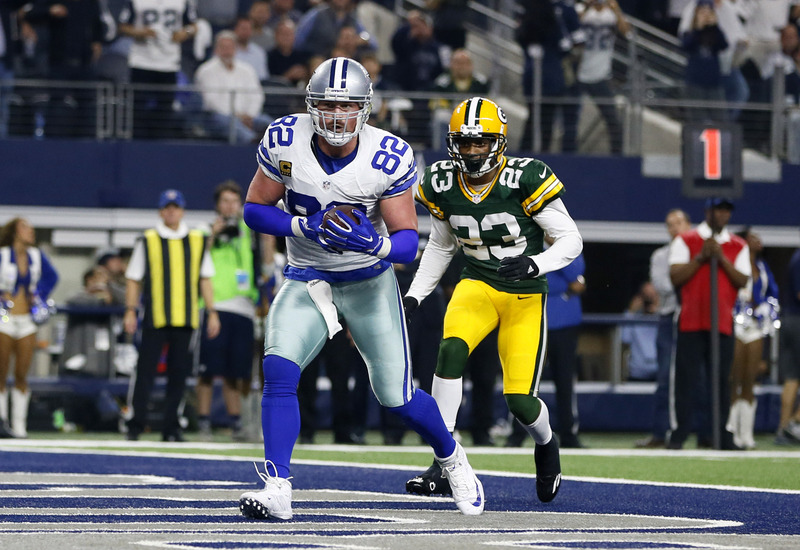 That’s no easy task given how many options Aaron Rodgers has – from Jordy Nelson to Davante Adams to Ty Montgomery to new tight ends Martellus Bennett and Lance Kendricks. Clearly, McCarthy and his staff think the Packers’ offense is better when Cobb has the ball in his hands. They value Cobb’s versatility – he even lines up in the backfield and gets a few carries (10 last season, 50 for his career) – but they still have to remember he’s a 5-foot-10 slot receiver with limitations when he lines up outside. Most of Cobb’s production has come from the slot, where he has lined up on 80.1 percent of his career receptions and all but two of his career touchdown catches, according to ESPN Stats & Information.